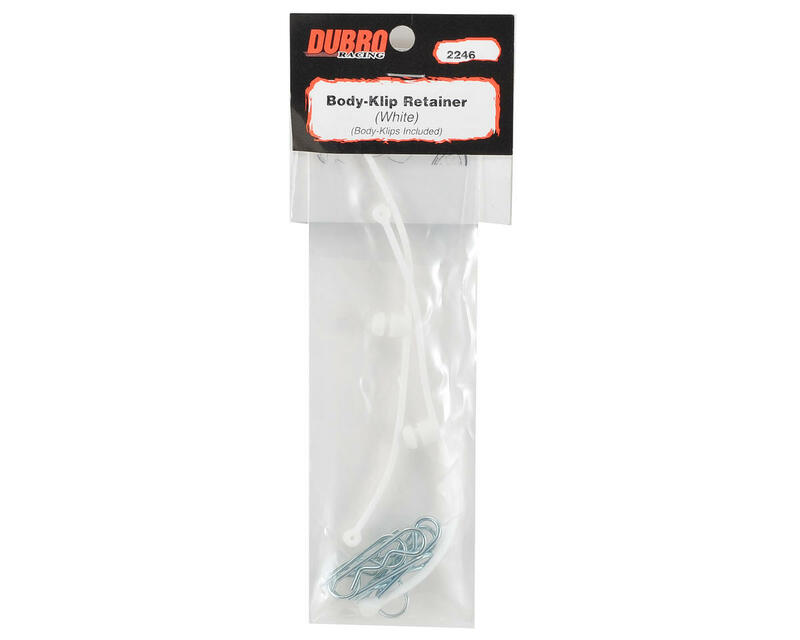 This is a pack of two white Du-Bro Body Klip Retainers. Du-Bro's innovative body clip retainers are the perfect option to help eliminate the frustration of lost body clips. Installation is a breeze and they're available in a variety of colors, so it's easy to find one that blends in with your paint scheme. 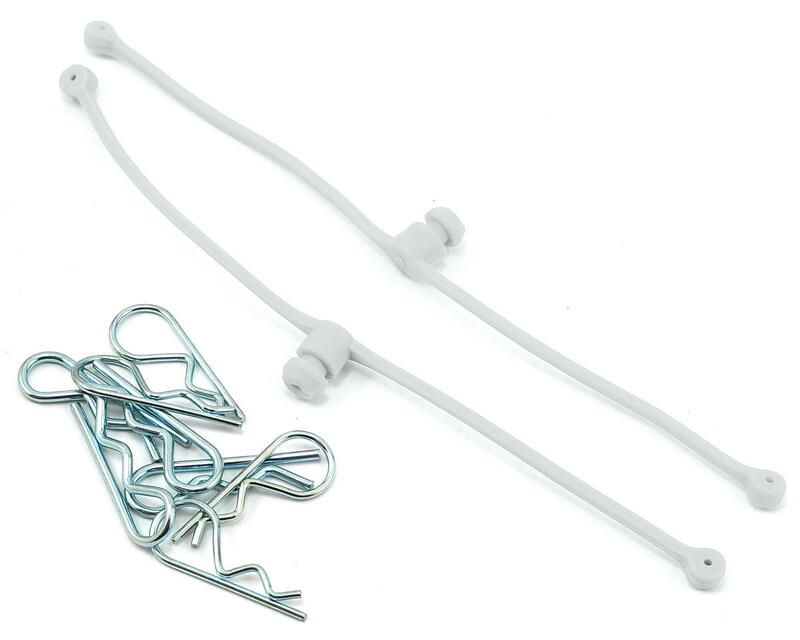 The package includes two body klip retainers, as well as a set of small body clips and a set of large body clips.